Sky TV has revealed its plans to launch a number of its channels on digital terrestrial television . The subscription service will include programmes from Sky's entertainment line-up, and will also enable terrestrial viewers to pay for one-off Sky Sports broadcasts including Premiership football. It's a similar set-up to what Sky had running on ITV Digital, before that franchise bankrupted itself by paying too much for Championship football matches. Sky's new DTT service will replace the three channels it already has on Freeview - Sky Three, Sky Sports News and Sky News. It will make use of MPEG-4 compression which will enable the four initial channels to be expanded on in future years. 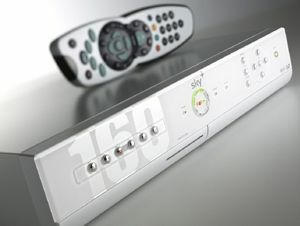 Current Freeview boxes will not be able to make use of the new Sky channels. However Sky says it expects Freeview box manufacturers to start building compatible set-top boxes once security protocols have been finalised. Before these grand plans can go ahead, the deal must be approved by media and telecoms regulator Ofcom as it will mean a change in various broadcasting licences. The expulsion of Sky Sports News from Freeview is likely to upset many sports fans.